Waugh, Greene, Percy…anybody turn up anything on me whispering in O’Connor’s ear? I have no talent, either. 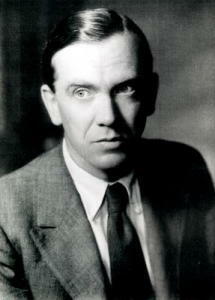 Me and Graham Greene have a lot in common. JOB, I hereby commission you to write a poem about Graham Greene and Wallace Stevens meeting on a hotel balcony after they’ve both ducked out of a birthday party thrown for the both of them on Capri. Quin, I commission you to write a short play depicting a meeting of J. Crew and J. Peterman at said party.